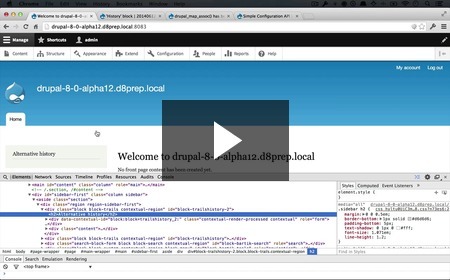 This week brings another 4 videos in the Drupal 8 Developer Prep collection where we discuss how to use variables in Twig and debug Twig templates. I will also be heading to BADCamp in a week to do 2 days of Mentored Training with a small band of awesome Drupalists from around the country. If you're going to be there for the training or the rest of the conference, I'll be looking forward to crossing paths. Enjoy and have an awesome week! In this video we create our first Twig template file, get it set up in the right place, and then talk a bit about how variables work in a template. After creating our template file, the next logical step is to register it with hook_theme() so Drupal knows where it is. Now that we have our Twig template in the theme registry, it’s time to actually use it. 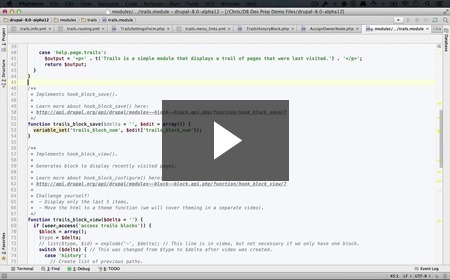 In this video we show one approach to using the template file, which is pushing it through a render array. One thing that you might be missing if you’re upgrading from Drupal 7 is the flexibility of being able to use PHP in your template to figure out what variables you have to work with. Luckily, Twig comes with a nice feature that allows you do exactly that without the security risk of using PHP directly. I'm happy to announce that BuildAModule HD has been released! 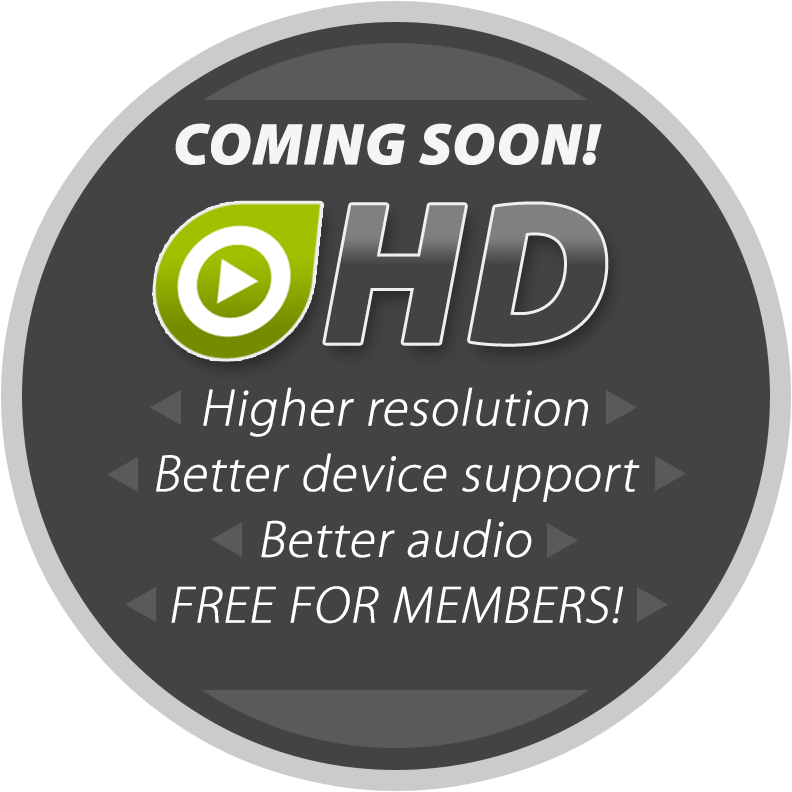 HD is free for all members and is enabled by default, so you don't need to do anything to activiate it. 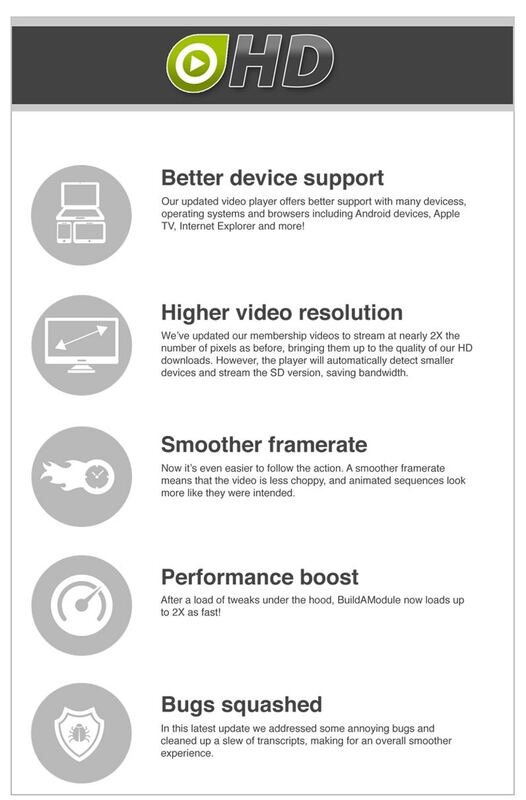 Now your videos will look cleaner and smoother, and the site loads faster than ever. If you're not a member yet, now is an awesome time to join! Below are some of the details of what we've been working on. I hope you enjoy the free upgrade, and have an amazing week! Throughout the last couple of weeks, we've been gradually updating a Drupal 7 module to Drupal 8. This week we tie up some loose threads by updating a few of our leftover hooks like hook_permission, hook_cron and hook_help. 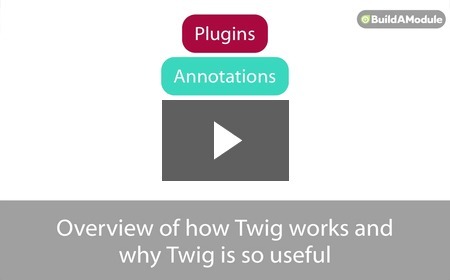 Finally, we're releasing a FREE video explaining how the Twig templating language works and why it's so useful. The conversion of our modules user interface is complete, but there’s a few things under the hood that we still need to review. 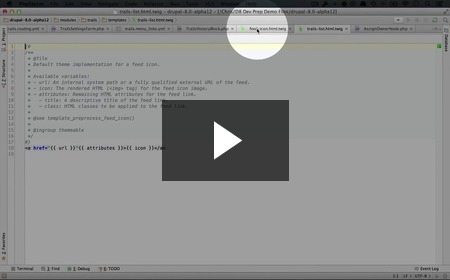 In this video we start working through our .module file and discover a lot of code that we can simply yank out, and a couple bits that needs some upgrading. 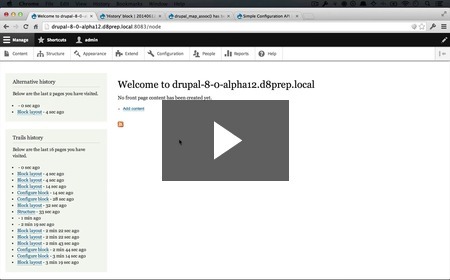 In this video we complete the process of bringing our .module file up to speed with Drupal 8. If you have your error reporting set to show notices, you might see a big red block of errors at the top of your otherwise beautiful block showcase page. 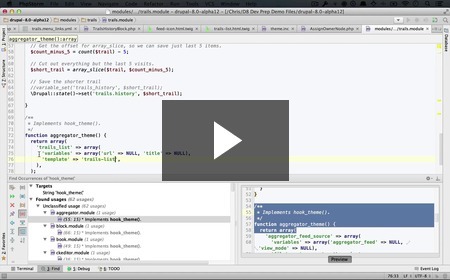 In this video we explain where these errors are coming from and how to get around them. Drupal 8 comes with several improvements to the theme layer, not the least of which is the switch to using the Twig template engine. 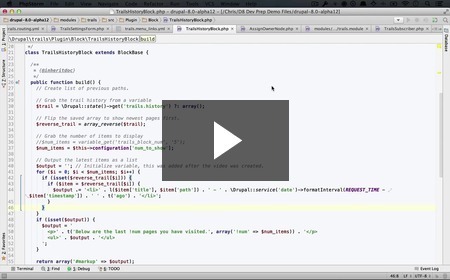 In this video we explain briefly about what Twig is and the role it plays in Drupal. That right, folks. We've been working hard to cook up a pretty awesome upgrade that will be rolling out in the coming weeks and will be absolutely free for all members. Keep an eye out in the newsletter and Twitter for the release of HD.